Classic gently arched bow pull by Richelieu with a flared base at each end. An instant and elegant upgrade for your furniture or cabinets. Contemporary right-angled Richelieu bar pull gives a distinguished look to any interior dicor and enhances the style of your kitchen and bathroom cabinets. Richelieu collection is an innovation in craftsmanship design and style. Our trendy collection of decorative hardware is a reflection of our continuing interest in bringing you the latest selection of high-quality and innovative products. These unique products that will bring together functionality, aesthetics, ergonomics, in all kinds of styles and finishes. Classic metal pull by Richelieu. This pull consists of a squared-tube handle with rounded corners and a square flange at each end. BP78096XXX products can be drilled at 3 inch or 96 mm (measured center to center). 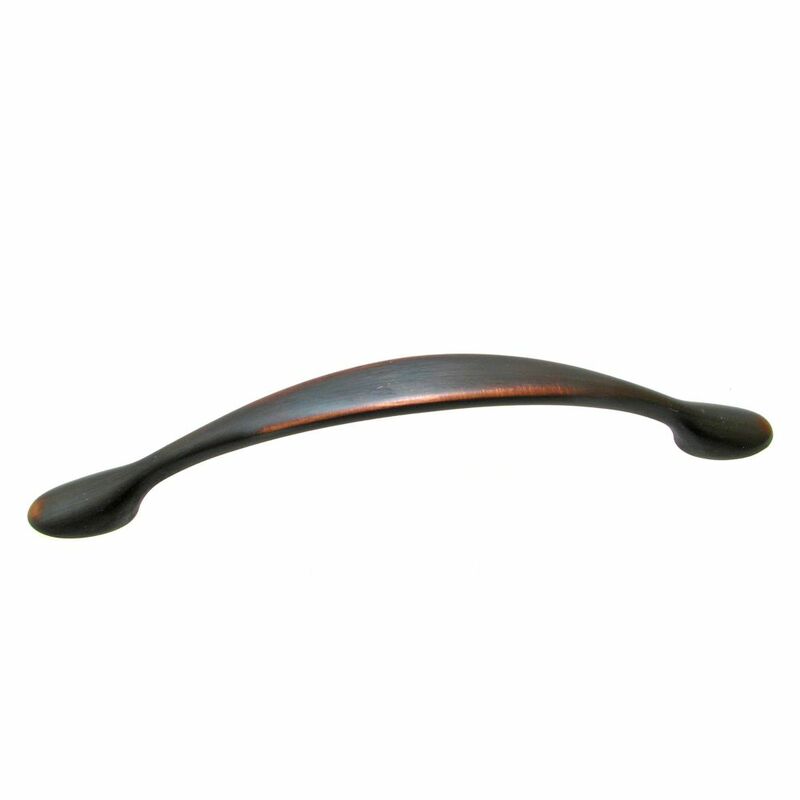 Traditional Metal Pull 5 1/32 in (128 mm) CtoC - Brushed Oil-Rubbed Bronze - Laurelton Collection Classic gently arched bow pull by Richelieu with a flared base at each end. An instant and elegant upgrade for your furniture or cabinets.